Vito Schnabel, seated at a Grosfeld House mahogany Egyptian Revival desk (c. 1940), and Stephen Posen with his untitled oil and acrylic painting from 1970. Produced by Michael Reynolds. Most people’s storage units contain dusty furniture or outdated clothing with outgrown waistlines. But when artist Stephen Posen rummaged through his storage space, he uncovered a trove of his radical early canvases buried deep within. The works are now on view at Vito Schnabel Projects in New York and will be on view at his St. Moritz gallery beginning July 28. Posen was part of New York’s Soho scene in the 1970s, having graduated with an MFA from Yale as part of a generation of artists including Brice Marden and Richard Serra. 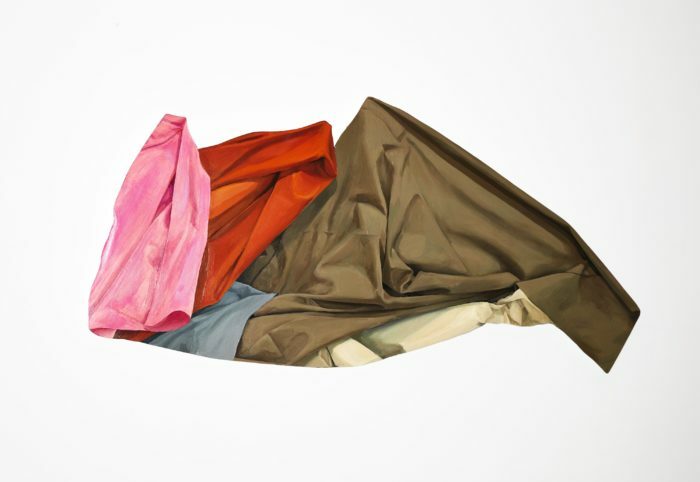 He spent two years in Italy on a Fulbright grant—the time abroad had a profound impact on this particular body of work, most notably for their themes of gravity, perspective and representation—before returning to New York. Stateside, he became known as a proponent of a new kind of American realism, especially after his work was included in Documenta 5 in 1972, selected by the legendary curator Harald Szeemann. 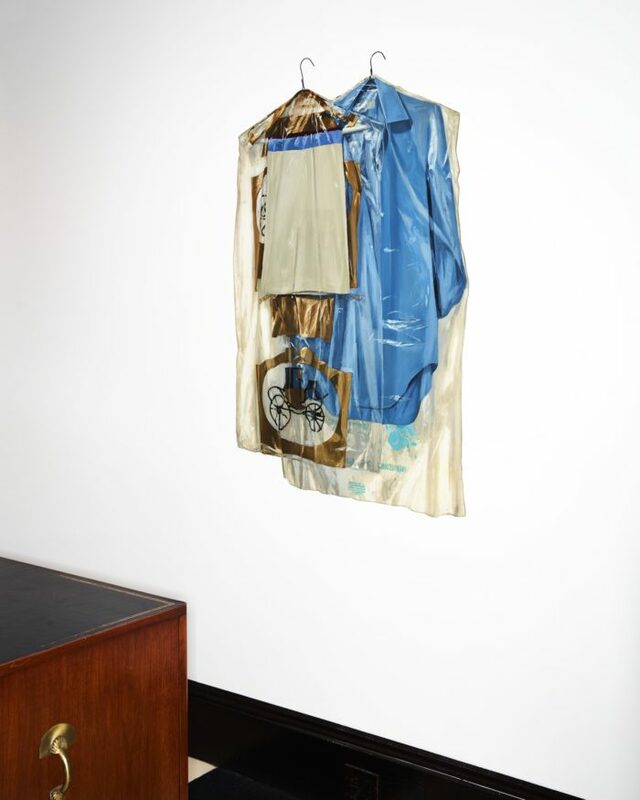 The works range from Clean Clothes (1969)—which gives the illusion of an installation of garments in dry-cleaning bags, but is actually a hyper- realistic depiction in oil on shaped plexiglass, hung from metal hangers—to Cut Out (1968), an oil work on shaped particle board which resembles a canvas covered by garments and bags, like covered statues and icons.